” Controversial, intolerant and provocative. Mainstream media outlets broke out these three words to describe the “Draw the Prophet” contest, the American Freedom Defense Initiative and Pamela Geller. Many media outlets relied on the expert opinion of the Southern Poverty Law Center, a multi-million dollar mail order scam disguised as a civil rights group, which had listed AFDI as a hate group. Also listed as hate groups were a number of single author blogs, including mine, a brand of gun oil and a bar sign. The bar sign, which hangs outside a bar seven miles outside Pittsburgh, appears to be made out of metal and plastic. It is reportedly unaware that it is a hate group and has made no plans to take over America. The SPLC’s inability to conduct even the most elementary fact checking did not stop news networks from inviting its talking head on to suggest that AFDI got “the response that they — in a sense — they are seeking.” Neither CNN nor MSNBC were impolitic enough to mention that no AFDI supporter had used its materials to plan a killing spree, while at least one of SPLC’s supporters had done just that. But being “controversial” and “provocative” has nothing to do with who is doing the shooting. It’s a media signal that the target shouldn’t be sympathized with. The Family Research Council, which was shot up by a killer using the SPLC’s hate map, is invariably dubbed “intolerant.” The SPLC, which targeted it, is however a “respected civil rights group” which provides maps to respected civil rights gunmen. 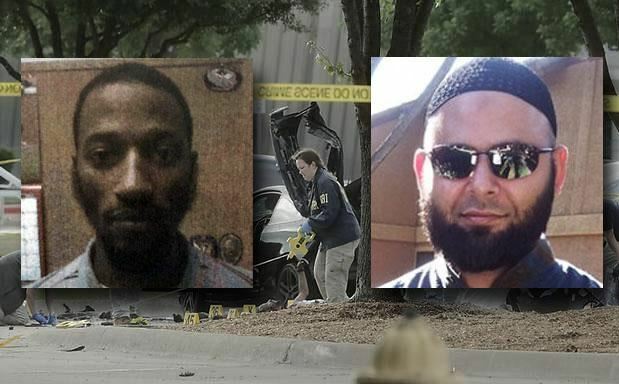 ” Texas police shot dead two gunmen who opened fire on Sunday outside an exhibit of caricatures of the Prophet Mohammad that was organized by an anti-Islamic group and billed as a free-speech event. The shooting in a Dallas suburb was an echo of past attacks or threats in other Western countries against art depicting the Prophet Mohammad. In January, gunmen killed 12 people in the Paris offices of French satirical magazine Charlie Hebdo in revenge for its cartoons. Sunday’s attack took place at about 7 p.m. in a parking lot of the Curtis Culwell Center, an indoor arena in Garland, northeast of Dallas. Geert Wilders, a polarizing Dutch politician and anti-Islamic campaigner who is on an al Qaeda hit list, was among the speakers at the event. Police said they had not determined the identity of the two gunmen or whether they were linked to critics of the event who had branded it anti-Islamic. ” A graphic illustration of Western wishful thinking about the decline of Islamic State (IS) is a well-publicized map issued by the Pentagon to prove that the self-declared caliphate has lost 25 per cent of its territory since its big advances last year. Unfortunately for the Pentagon, sharp-eyed American journalists soon noticed something strange about its map identifying areas of IS strength. While it shows towns and villages where IS fighters have lost control around Baghdad, it simply omits western Syria where they have been advancing in and around Damascus. The Pentagon displayed some embarrassment about its dodgy map, but it largely succeeded in its purpose of convincing people that IS is in retreat. Many news outlets across the world republished the map as evidence of the success of air strikes by the United States and its allies in support of the Iraqi army and Kurdish forces in Iraq and Syria. The capture of Tikrit after a month-long siege is cited as a further sign that a re-energized Iraqi state is winning and one day in the not too distant future will be able to recapture Mosul in the north and Anbar province in the west. ” More than prisoners have been slaughtered by Islamic State militants near Mosul in Iraq. According to the Yazidi Progress Party, hundreds were murdered by Isis on Friday in the Tal Afar district. It comes after around 40,000 people were kidnapped at gunpoint when the terrorists attacked Yazidi villages last summer. The party statement, quoted by Shafaq News, condemned the ‘heinous criminal acts’ committed by Isis against the Yazidis. Meanwhile, a Yazidi lawmaker quoted a lower number of victims today, and said they were shot at a prison camp in Tal Afar. Legislator Mahma Khalil said he spoke to four different people with knowledge of what happened inside the camp. ” In a closed-door meeting with Jewish Donors Saturday night, former President George W. Bush delivered his harshest public criticisms to date against his successor on foreign policy, saying that President Barack Obama is being naïve about Iran and the pending nuclear deal and losing the war against the Islamic State. One attendee at the Republican Jewish Coalition session, held at the Venetian Hotel in Las Vegas with owner Sheldon Adelson in attendance, transcribed large portions of Bush’s remarks. The former president, who rarely ever criticizes Obama in public, at first remarked that the idea of re-entering the political arena was something he didn’t want to do. He then proceeded to explain why Obama, in his view, was placing the U.S. in “retreat” around the world. 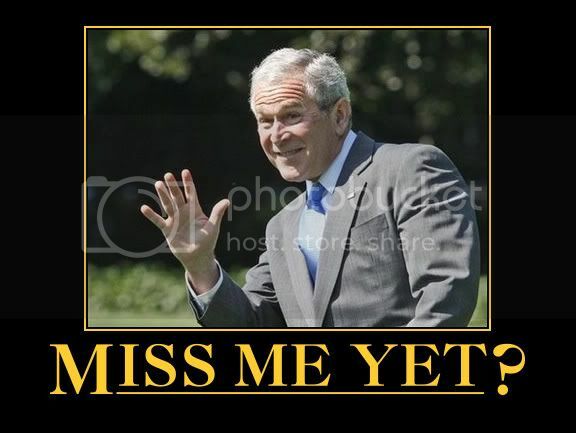 He also said Obama was misreading Iran’s intentions while relaxing sanctions on Tehran too easily. ” Smugglers have taken to Facebook to offer desperate migrants passage across the Mediterranean to Europe in a sign of how brazen human traffickers have become in their lucrative trade. A cursory search by the Financial Times revealed several Facebook pages in Arabic offering passage to Europe, many via Libya to Italy, but others from Turkey to Greece. No mention is made of the hundreds who have died in the Mediterranean in recent days; instead they promise a reliable and comfortable journey in a matter of hours. On a closed Facebook group offering tips to would-be migrants, a Turkey-based Syrian who goes under the pseudonym of Abu Moaz advertises crossings by inflatable boat to Greece. The voyage lasts about an hour-and-a-half and costs $950 per person, he says. Anyone interested can speak to him via the WhatsApp or Viber numbers on the site. The Armenian genocide was , as the Pope says the 20th century’s first genocide , but it was also the 20th century’s first instance of Jihad . The Armenians were Christians , the Turks were/are Muslims . Remember that as you read the rest . ” One teenager has been charged, three released and another remains in custody after police raids targeting an alleged Anzac Day terror plot in Melbourne. An estimated 200 Australian Federal Police and Victoria Police officers arrested the five men after seven raids across Melbourne’s southeast before dawn today. Police have charged 18-year-old Hallam teenager Sevdet Besim with “conspiracy to commit acts done in preparation for, or planning, terrorist acts”, a Commonwealth offence. Mr Besim appeared for a 30-second hearing at the Melbourne Magistrates’ Court where he was remanded in custody to reappear for a filing hearing on Friday. Dressed in a black windcheater, the bearded Besim did not bow to magistrate Alan Spillane as he was taken to the holding cells below. Narre Warren man Lindim Sulejmani, 18, has been released and is expected to be charged on summons with prohibited weapons offences. American Thinker Post Of The Day: Never Again ? ” Along with Tax Day, this year April 15th marked Holocaust Remembrance Day, to remind us of the horrors perpetrated by Nazi Germany and its European allies against the stateless and hapless Jews a mere 70 years ago. The largest Jewish cemetery in the world is called Europe. Before the Second World War, there were some 18 million Jews. After the war there were only 12 million remaining. The six million who perished soaked the benighted soil of Europe with their blood and filled the skies with their ashes. But these were the Jewish victims of the 20th century. For nearly two millennia, millions more had died and suffered cruel martyrdom. Yet the continued existence of the Jews throughout terrible and persistent persecutions remains one of the greatest of all miracles, surpassed only by the rebirth of Israel. We often call the horrors inflicted upon the Jewish people and faith by its nineteenth-century term: anti-Semitism. But it is a poison within humanity, a persistent virus that remains impervious to eradication. Simply put, it is Jew hatred. It has erupted again throughout Europe and mirrors in its perversions and mindless violence the stark memories of the Third Reich. France has given us great literature and wondrous music. But that nation also gave us the notorious Dreyfus Affair and the Vichy regime that happily rounded up its Jewish citizens and sent them to the German death camps. That same nation is now submerged under a vast influx of Muslim immigrants who spew Jew hatred learned by rote from the Koran and the Hadith. ‘ Rabbi Shlomo Riskin, chief rabbi of Efrat, on Saturday night compared US President Barack Obama to Haman and Prime Minister Benjamin Netanyahu to Mordechai. Speaking at the Jerusalem Great Synagogue, the American-born Riskin said that he could not understand what was going through Obama’s mind. “ The president of the United States is lashing out at Israel just like Haman lashed out at the Jews,” he said. When a woman in the audience shouted out that he was being disrespectful to the US president, she was booed by the crowd. Riskin said he didn’t need any help from the audience. Just as Mordechai was focused on saving the Jews of Persia from destruction, he said, so Netanyahu is focused on saving Israel and the world from destruction. ” The United States has just revealed a stunning amount of information on some of Israel’s the most closely guarded secrets: information about its military cooperation with America and 20 years’ worth of details on Israel’s nuclear technology development, up to the 1980s. 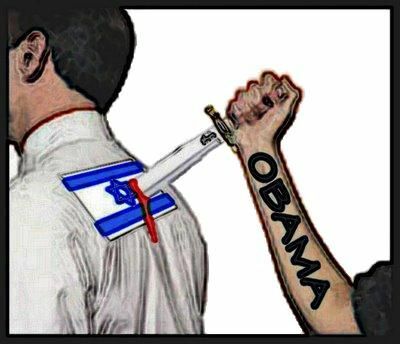 And to all of our Jewish readers who’ve supported Mr Obama , you had better be prepared to bid farewell to the Jewish homeland as he eagerly gives Iran the means of Israel’s destruction . ” The American-led coalition is now launching air strikes to back up Iranian and Iraqi troops in the key city of Tikrit, a U.S. official tells The Daily Beast. Those forces had previously kicked off their operation to reclaim Saddam Hussein’s from the self-proclaimed Islamic State without informing the U.S. military. But when that campaign stalled, they turned to American air power. A U.S. defense official told The Daily Beast that U.S. conducted 15 strikes beginning at 315 p.m. EDT, targeting weapons storage facilities, barracks and road blocks set up by ISIS. All the targets were “pre-planned” the official said, suggesting an operation planned before the Iraqis formally sought approval. While Obama actively works to ensure Israel’s extinction and the Ayatollah shouts “death to America” our troops are backing the Iranian military with airstrikes … we are being led by either morons or collaborators , you choose . ” Secret files held by Yemeni security forces that contain details of American intelligence operations in the country have been looted by Iran-backed militia leaders, exposing names of confidential informants and plans for U.S.-backed counter-terrorism strikes, U.S. officials say. U.S. intelligence officials believe additional files were handed directly to Iranian advisors by Yemeni officials who have sided with the Houthi militias that seized control of Sana, the capital, in September, which led the U.S.-backed president to flee to Aden. For American intelligence networks in Yemen, the damage has been severe. Until recently, U.S. forces deployed in Yemen had worked closely with President Abdu Rabu Mansour Hadi’s government to track and kill Al Qaeda operatives, and President Obama had hailed Yemen last fall as a model for counter-terrorism operations elsewhere. ” This guy is either the dumbest Ivy League bigwig ever or politically correct to a fault — for welcoming offers to bring ISIS and Hamas to Cornell University. A video sting operation shows Cornell’s assistant dean for students, Joseph Scaffido, agreeing to everything suggested by an undercover muckraker posing as a Moroccan student. Scaffido casually endorses inviting an ISIS “freedom fighter’’ to conduct a “training camp” for students at the upstate Ithaca campus — bizarrely likening the activity to a sports camp. Is it OK to bring a humanitarian pro-“Islamic State Iraq and Syria” group on campus, the undercover for conservative activist James O’Keefe’s Project Veritas asks. Sure, Scaffido says in the recorded March 16 meeting. ” A Texas Muslim, an Imam, who supports Sharia Law, the brutal Islamic justice system, is refusing to back an Irving, Texas, Mayor and City Council stance of a Texas bill that American courts under American law is the only law, not Sharia, that rules the justice system in America, Creeping Sharia reported on Saturday. Irving, Texas Mayor, Beth Van Duyne accused Islamic mosque leaders of creating separate laws for Muslims and when the City Council voted last Thursday, endorsing the bill in a 5-4 vote, preventing Islamists from creating their own judicial laws, Duyne was falsely accused of targeting Muslims. The Texas State bill was penned by state Rep. Jeff Leach, (R-Plano), which would forbid state judges from using foreign law in their rulings. Below are the members of the Irving city council as described on their website and while we found a record (item 19 , page 11) of the minutes of the March 19 meeting where-in the vote for/against the application of “foreign laws” was dealt with , we could find no role call vote . Four of these gentlemen voted against upholding the rule of law and we would like to know who . The mayor and councilmen Ward and LaMorgese sponsored the resolution so the four in favor of Sharia come from the remaining 6 . Feel free to put the contact information above to use and let these Dhimmie fools know how you feel , respectfully of course . They should be ashamed to call themselves Texans . American law , and by extension Texas law , has no room for the barbarity of Sharia . Ed. Note: We received notice that our use of the photo that previously accompanied this story was verboten by the photographer and so we have removed it under threat of banishment from the WordPress world . After three years and 23,000 posts we have had exactly three issues of this type . The first two photographers took the time to contact us directly and ask for further credit or removal , both of which were immediately provided . This time however , we were threatened with the loss of our WordPress account and legal action so we have deleted the photo . We offer our sincerest apologies to the photographer and our readers . It is never our intention to gain credit through the hard work of others and seek only share properly accredited work with our audience and it goes without saying that should anyone have an issue with us publishing something that rightfully belongs to them all that need be done is dropping us a quick note to ask for removal/credit and it will be done . ” First he comes for the banks and health care, uses the IRS to go after critics, politicizes the Justice Department, spies on journalists, tries to curb religious freedom, slashes the military, throws open the borders, doubles the debt and nationalizes the Internet. ” John Greenewald, the operator of The Black Vault, a hub for declassified government documents, contacted the CIA in 2014, requesting an updated version of the NIE that contained more details. The CIA provided Greenewald with a newer version in Jan. 2015, which he first shared with VICE News. While the newly released version of the NIE still keeps some details from the public, it provides more information about the intelligence the US claimed to have when choosing to invade Iraq, and it points out some holes in the stories of the US officials who were justifying the invasion to the American public.